Ep. 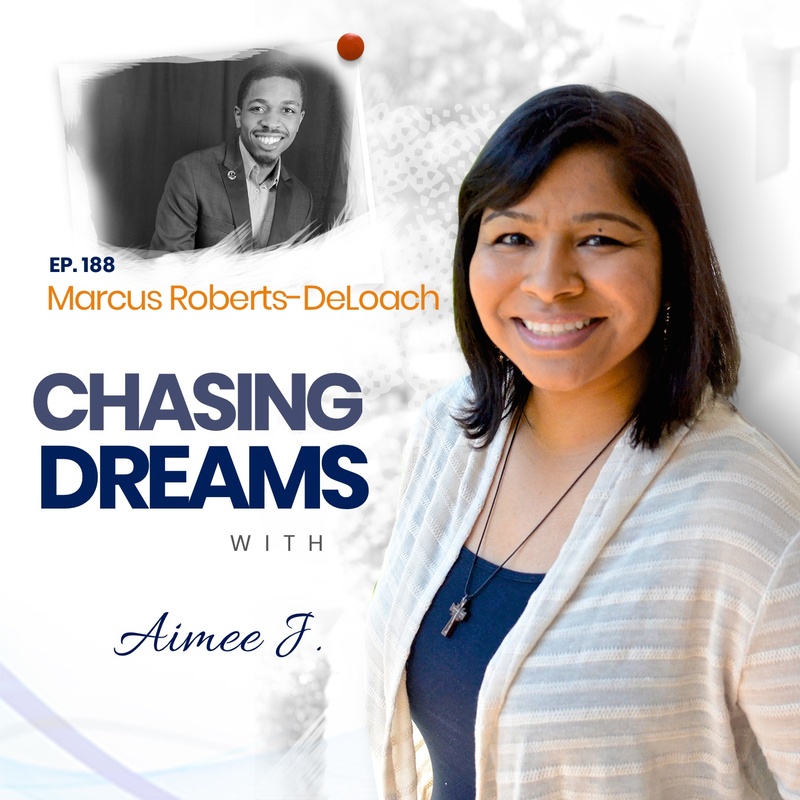 188: Marcus Roberts-DeLoach – Bigger Than You | Aimee J. 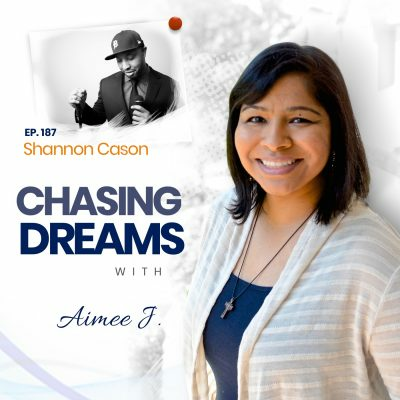 Can a young person be the voice of motivation and empowerment in chasing dreams? Yes! 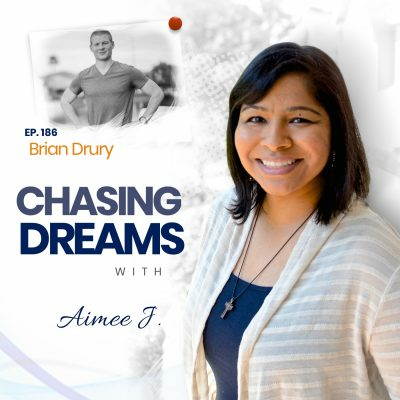 Join me for an inspiring conversation with a dream chaser who is already making an impact and helping others find their purpose. Marcus Roberts-DeLoach is a 22-year-old young adult empowerment writer, speaker, business owner, and radio talk program host from Philadelphia, PA. He is a former full-time student-athlete at Ohio State University-Lima and will soon be graduating with a bachelor’s degree in Communications. Marcus is the author of Bigger Than You: What is Your Purpose? Through his work, he expresses how important it is to help others live a purposeful life. He is a firm believer that current situations don’t define final destinations. His advice to people is never to let people tell you what you can’t do or that your dreams are impossible to achieve. Marcus believes that putting in the work makes anything possible for anyone. His vision goes far behind himself, and he believes that empowering other people is the key to truly changing the world. What are your gifts? Marcus always knew that his gifts were basketball, talking to people, and making them smile. He started out in athletic training, then moved to business, and later on to communications. Early on, Marcus developed the mindset that he wanted to own his own business, and he knew the sky would be the limit if he concentrated on growing a better version of himself. It didn’t take long for Marcus to turn into a personal development guru because he knew it would be the key to a better future. Is everything more difficult when you’re young? Not really, but finding a balance in life and finding yourself can be more challenging when you’re young. Marcus admits that his concentration is not as good because he feels “all over the place.” He realized that he had to commit to his dream with consistency and learn to say NO to some people. The average 22-year-old isn’t doing the things that Marcus is. He looks forward to what his decisions will look like at age 25, 30, 35, 40–and so on. If you don’t have a starting point, how do you figure out your gifts? Marcus says the first step is to find a mentor. Find someone whom you want to be like. We usually frown upon copying what someone else is doing, but it’s not wrong to copy someone else if you are molding and growing yourself. Two mentors that Marcus learns from every day are Jim Rohn and Steve Harvey. [16:21] What’s next for Marcus? http://aimeej21.com/donate Donate through our Fundathon!